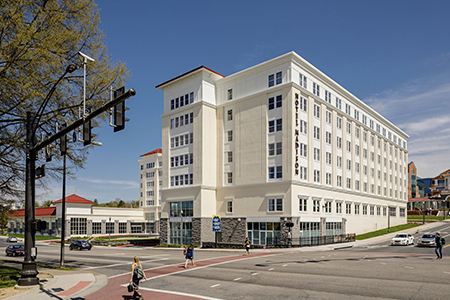 Lodging for the conference is available in the stunning new Hotel Madison on the campus of James Madison University. A room block is available at the Hotel Madison, 710 S. Main Street, Harrisonburg, VA. Please call 540-564-0200 to reserve your room. Mention the Standardized Patients for a discounted rate. Parking is available in the Mason Street Parking Deck adjacent to the Hotel Madison. The conference location is a short walk.